One significant challenge most hikers face is the proper choice of food. We are prone to always go for the tastiest and nourishing foods when at home, but when we hit the track, things can get messy. Most people make the wrong decisions and that partly ruins their adventurous event. There are some rules as to what makes sense to be brought on one-day hiking trip and what not. There are factors to be considered, like weight, durability, taste, nutritional value, if it generates trash, and so on. It may sound tedious to plan your food in such tiny details, but once you get the idea, you don’t have to spend hours and hours on searching for the best food. You’ll already have the knowledge and experience, and we’re here to give you a head start. You can allow yourself more taste and mouth-watering foods in your backpack if you plan to go hiking just for a day or two. Here are our ideas. Pick any type of bread or pita you love, and make your favorite sandwiches. The shape is only for you to decide on. Make at least 2 per day of hiking, or if you can’t image yourself eating anything else, make one per meal, for each day out there. We advise you to have a bit of variety every day, but if that’s not your thing, go for it. Of course, without variety, at least add some tomato slices or cucumbers, or lettuce in each sandwich, to give you some freshness. Also, make sure you have some meat or cheese in the sandwich, to give you a protein boost and keep away the hunger for longer. 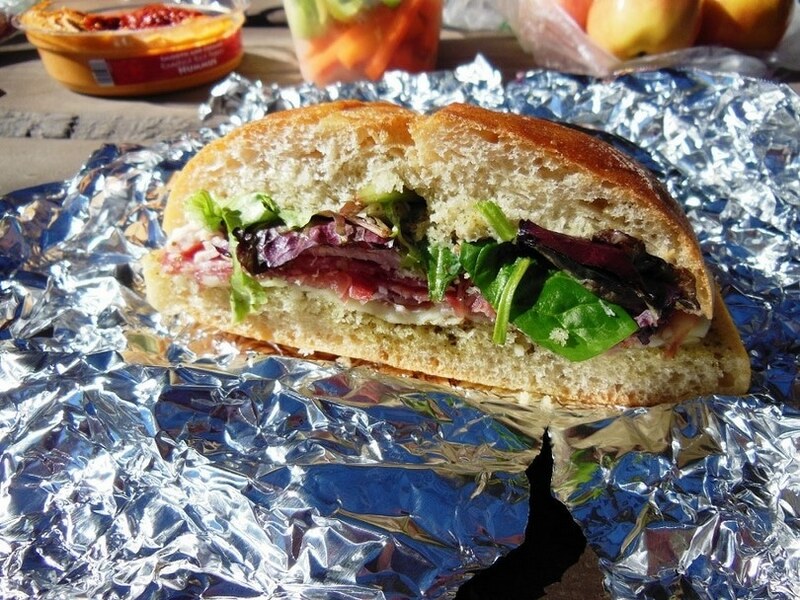 As for packing the sandwiches, better tuck them in aluminum foil, for better preservation. You risk getting them squeezed between the other items in your backpack, but if you plan that ahead and find a good way to keep them safe, you’ll be fine. This is a popular food among hikers. Usually, by meat jerky people mean beef jerky. 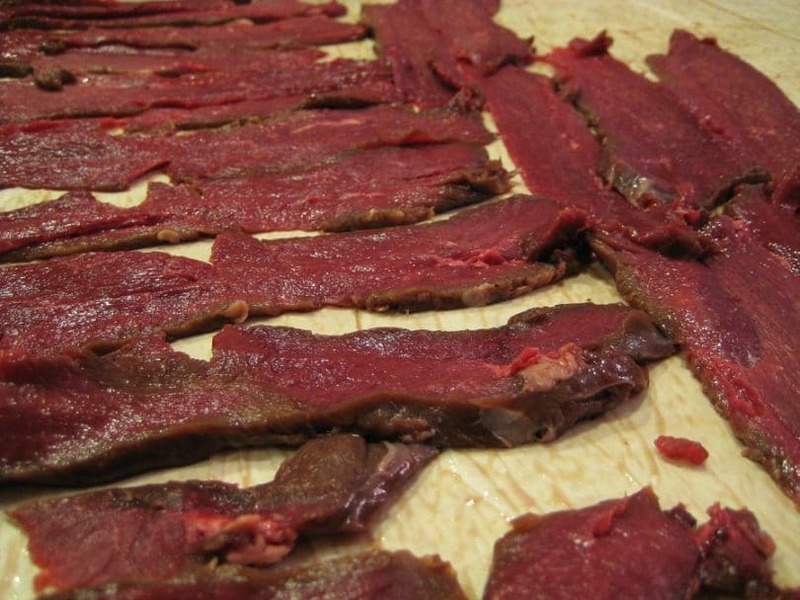 For people who want to avoid red meat, there is also the option for fish jerky. This type of food is almost the ideal balance between fat, protein and carbohydrates. 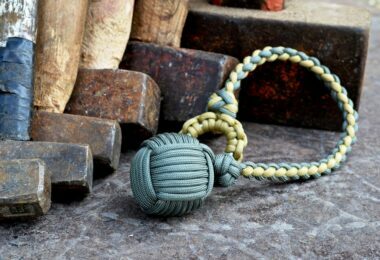 It’s very light, tasty and durable. If you want you can make your own at home, provided you have a dehydrator. Meat jerky is also one of the options specialists recommend for foods to store in case of an emergency. You can read more on this topic in our article about long self life foods. As the rule goes, keep it simple when packing for a hiking trip. You have to prepare a lot of other things and items to think in details about your food. 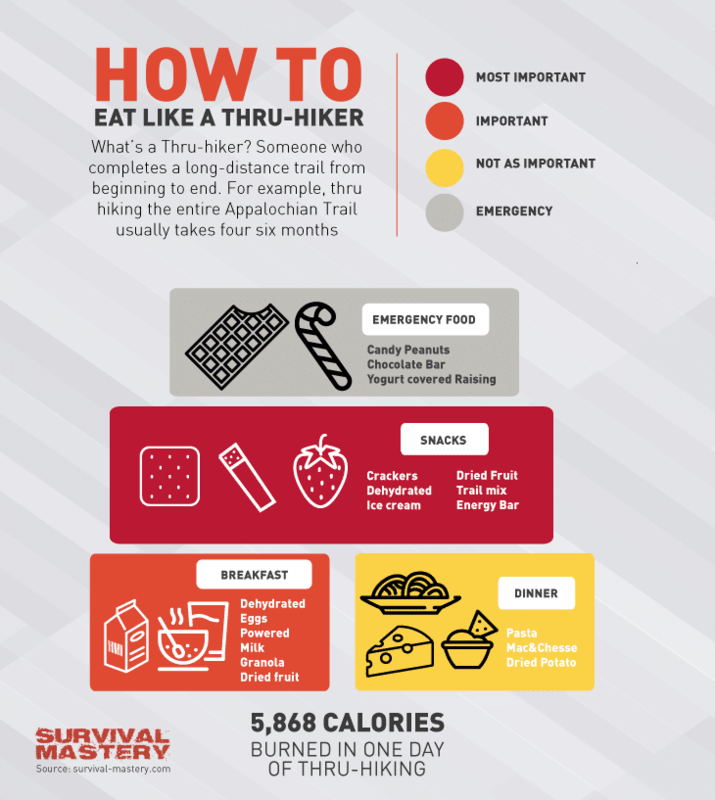 That’s why nut and protein bars are just the perfect type of meal for a hiker. 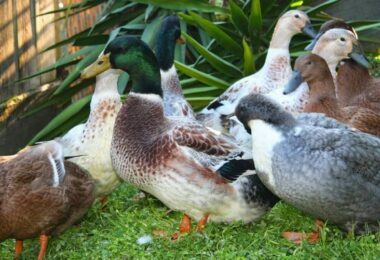 They are compact, light, nutritional, tasty, high in proteins and leave the hunger away for an hour or two. Check the labels and pick those loaded with more calories and proteins. Don’t avoid sugary contents since sugar (carbohydrates) is your fuel, just as proteins and fats are the building blocks of your body’s cells. If you prefer homemade food, you can make your own nut bars. Add a variety of nuts in a container (preferably in the shape of a bar), add honey to stick everything together, add a bit of raisins or other dried fruits for sweetness, and you’re done. For more details you can google how to make nut bars at home. However, if you decide to go shopping, we have a great article with reviews on the best energy bars you should check out firs. It’s surprising how something like lasagna can actually be dehydrated, and when water is added it tastes just the same as grandma’s lasagna. 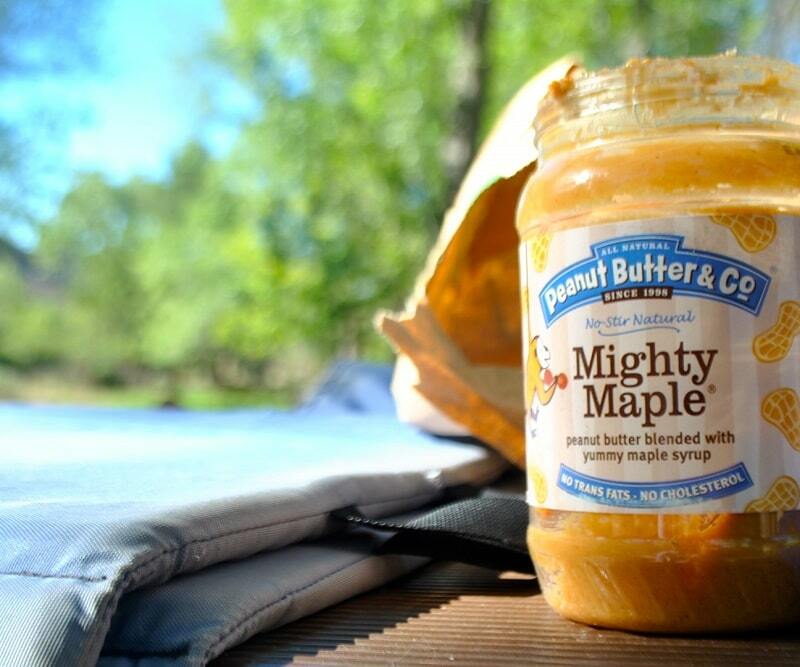 There are many brands on the market that offer backpacking food. It’s in a freeze-dried state. It’s light and compact. When you add water (boiling for best results) you get the taste that you expected. If you always prefer the homemade food, you can prepare your own. You can cook some simple meals, like, boil cous-cous or quinoa, add nothing but salt, place it in a large plastic container and there you go. Even if it’s not super tasty, as long as it has salt, a bit of vinegar or some spices (or herbs), you will be perfectly happy. You can get other dried food, like dried fruits. Their low weight allows you to take as much as you can, and receive a large amount of energy packed in a small fruit. 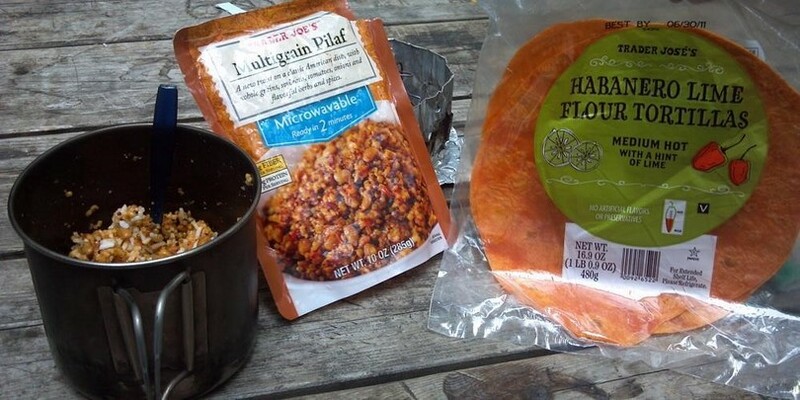 If you’re not too happy about dried foods, you can actually cook something while you’re camping. We have a great article with camping recipes that we’re sure you’ll enjoy. Dates are part of a special category. There are dates on the market, which are not dried. They are much juicier and tastier. They may be a bit heavier that way, but you still don’t need too much of them. They are loaded with sugar. Basically, they are almost entirely sugar. 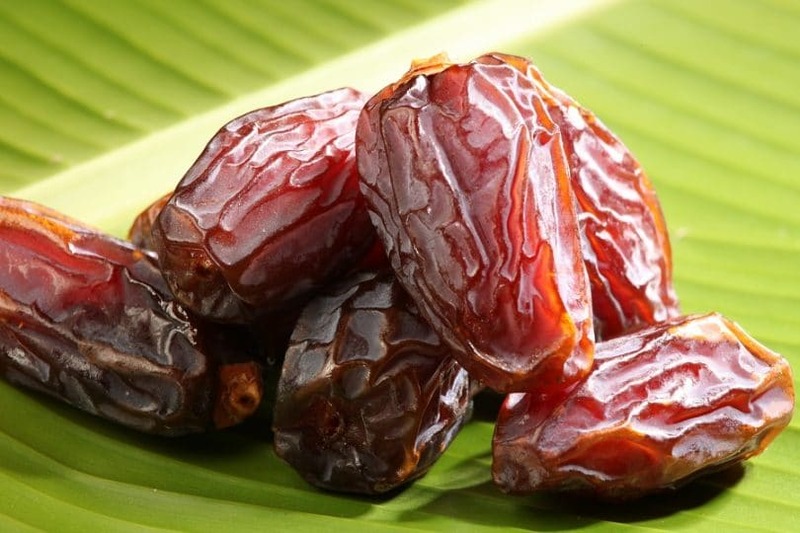 Dates can’t go bad easily, precisely because of the sugars, which act as a preservative. So, dates can be the perfect energy food for any type of weather. If you’ll be hiking during a hot summer weekend, a chocolate bar will melt within hours, while dates will stay the same. The sugar content in the dates and chocolate is almost identical, but dates are a fresh fruit, which also on the plus side. 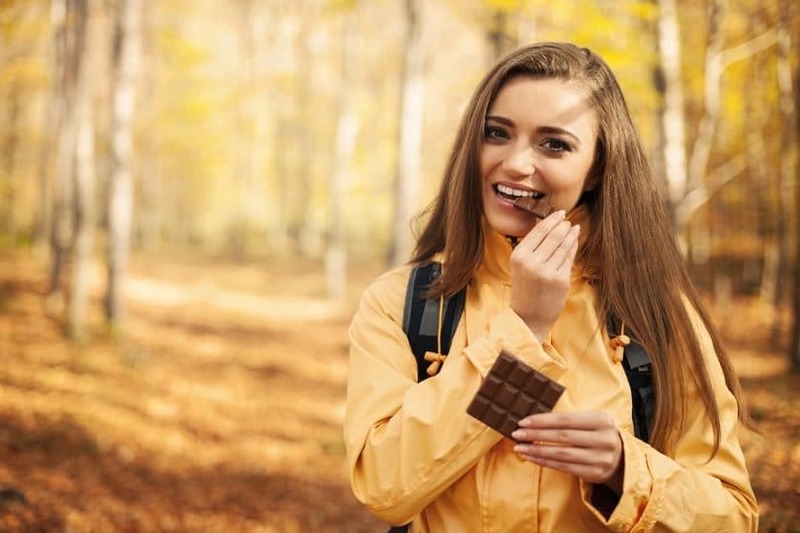 After all, chocolate remains a favorite food for many people, from hikers to non-hikers. It’s tasty, sweet and an energy booster. The cacao content delivers a high amount of antioxidants and minerals, which are important for the body under stress. Hiking may be a pleasure for you, but it’s a stressor for the body. 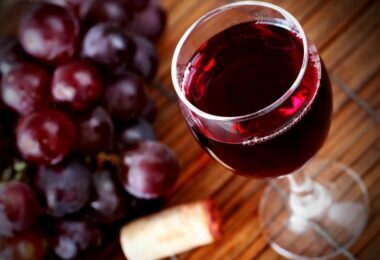 The antioxidants will keep the stress agents at bay. Also, it’s a perfect combination between fat, protein and carbohydrates. The only downside to chocolate is that it melts in hot weather. So, if you’ll be hiking in the summer, you can take some dates. If the weather is going to be mild, by all means, enjoy some chocolate while hiking. After all, even during the summer, nights a cooler, and that’s a perfect moment for enjoying some chocolate. This is a bonus idea for those willing to carry a bit of extra weight, but reaping the benefits when dehydration hits. It is true that fruits and watery vegetables are a no-go for hikers. Cucumbers can be not only an extra weight, but a very good hydration food, and it can be perfect for those who need something fresh in the morning. It’s packed with nutrients to replenish your body’s mineral store. 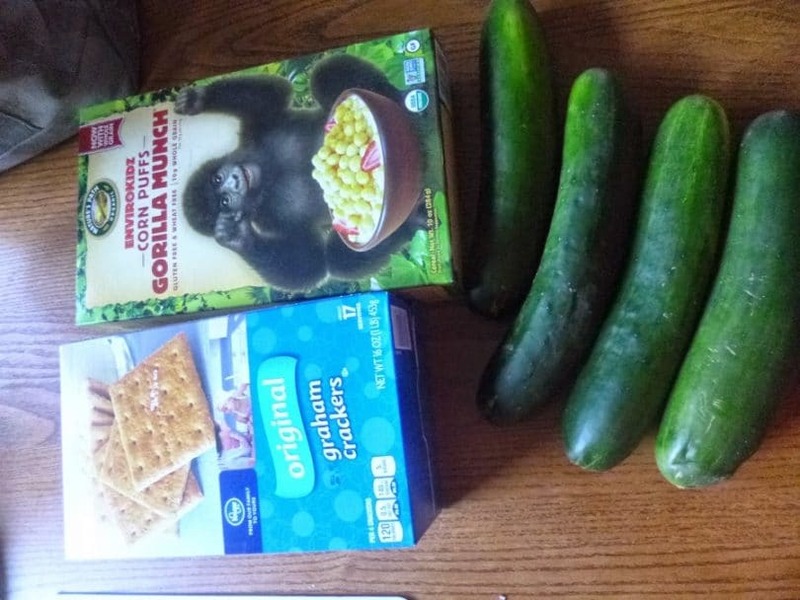 If you plan a one-day hiking trip, it may not be worth taking cucumbers, but if you want to spend some more days out there you’ll start to lack the fresh foods at home. Cucumbers can give you that freshness. Another benefit of taking cucumbers is that it’s a hard vegetable. It can’t get smashed among your backpack items. It can only crack in half if it’s placed incorrectly inside your backpack so that the weight isn’t distributed evenly. Otherwise, you can rely on the cucumbers that they will be there when you reach inside your bag. Another idea for such a fruit or vegetable is the apple. It’s also a hard fruit and can sustain some pressure. If you have other ideas for such fruits, experiment and try them. And again, it’s only a bonus idea for those who like to challenge the mainstream beliefs. Usually whatever type of food you choose to bring along, consider the importance of meat, fish in particular. Tuna, for example, may be the ideal protein source. It has low caloric value, but is very high in protein. Protein is important for the cell regeneration and for muscle strength. As a hiker you should know that you have to give your body not only the fuel (carbohydrates) but also the means to repair damage. 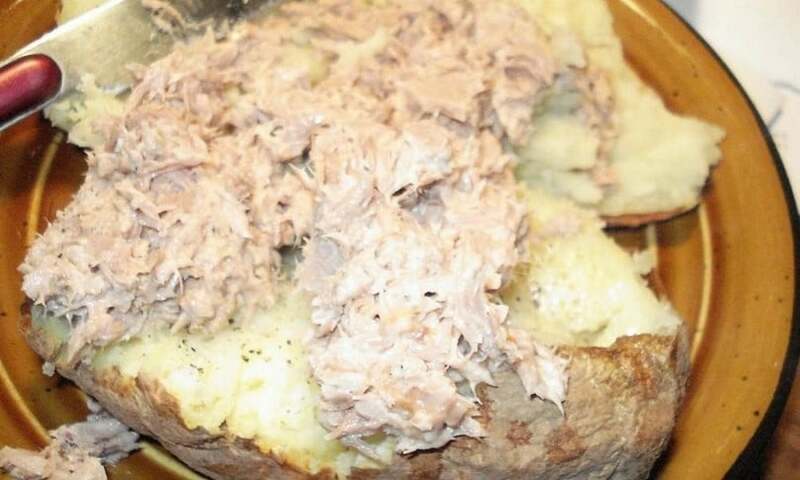 Get some prepackaged tuna, in chunks, so it can be easily mixed with your other food. It sure is a calorie bomb. It’s sweet, there’s also peanuts and has it all (carbs, fat and protein). 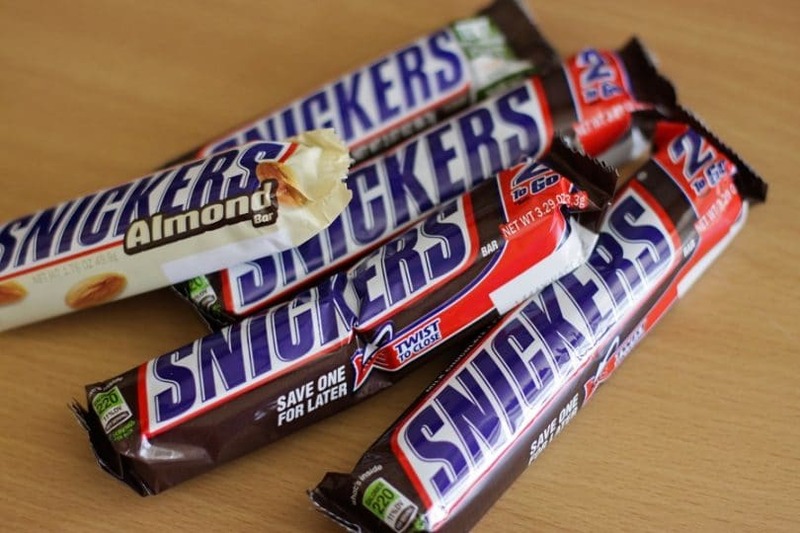 If it’s warm and you don’t expect the weather to get any cooler, maybe a Snickers bar isn’t such a brilliant idea, but you should at least pack one and hope to eat it in the evening, when it will get cooler wherever you go hiking. You may be planning to go hiking for five days or for a week, or even for 10 days. There is a much narrower choice of foods you can prepare in your backpack. Some are going to be familiar from the above list, but we’ll discuss them in more depth. As mentioned above, dried fruits can be the best option for low-weighted food for a hiker. If you plan a long trip, you can definitely pack a variety of dried fruits, from raisins, to cranberries, etc. 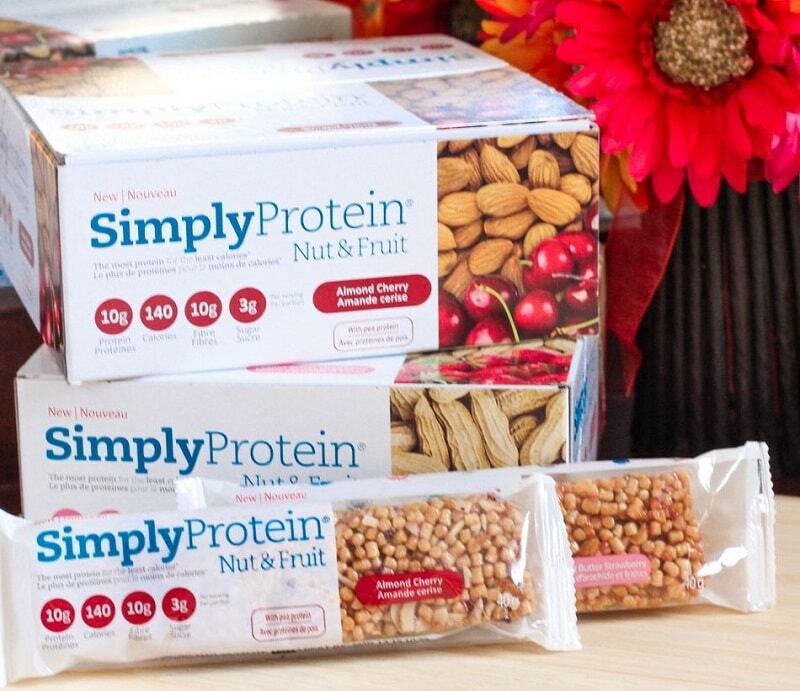 Be prepared with a lot of dried fruits, don’t just get a pack or two. You may have to rely entirely on them in critical moments. Again, we have to mention the dates. They are a miracle fruit, which gives a boost of energy with just 3-4 fruits at a time. It’s a delicious and sweet, fresh, alternative to chocolate (in case of hot weather). When you feel tired and the mealtime is hours ahead, pop several date fruits and you’ll see how energized you will feel within moments. The great part about dried fruits is that you can make them yourself without too much fuss. We have a great article on how to dry fruits at home with several techniques described step-by-step you should check out. Most trekkers pack a lot of dried soup packages. If you enjoy days of trekking you definitely had used a camping stove. 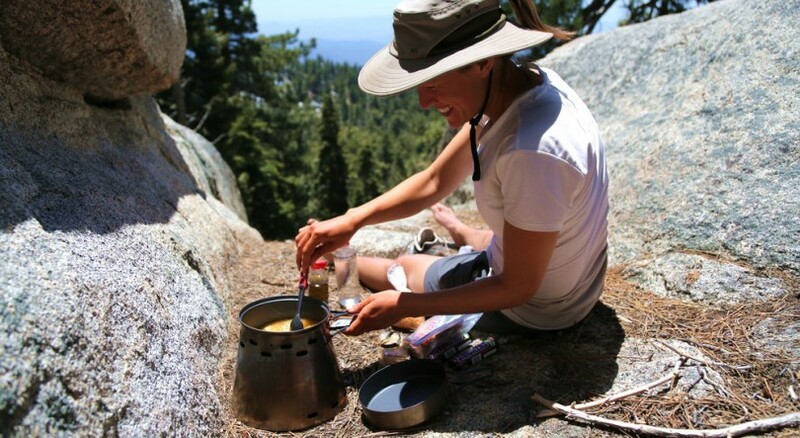 Most such stoves are very small and compact, so it’s always easy to boil some water, add the dried powdered soup, and you have both a hydration drink and a refreshing meal. In this category we can place the meat jerky again, due to its extremely low weight. It’s packed with fats, carbs and protein, just what the body needs, and it’s tasty. We also have a great article on homemade MRE that may be of great help in preparing food for hiking trips. This is another great option for low-weight food, which also provides carbohydrates, proteins and fat. As we said already, these are the three main components the body needs. Most hard cheeses can sustain some amount of heat and are durable because of that. 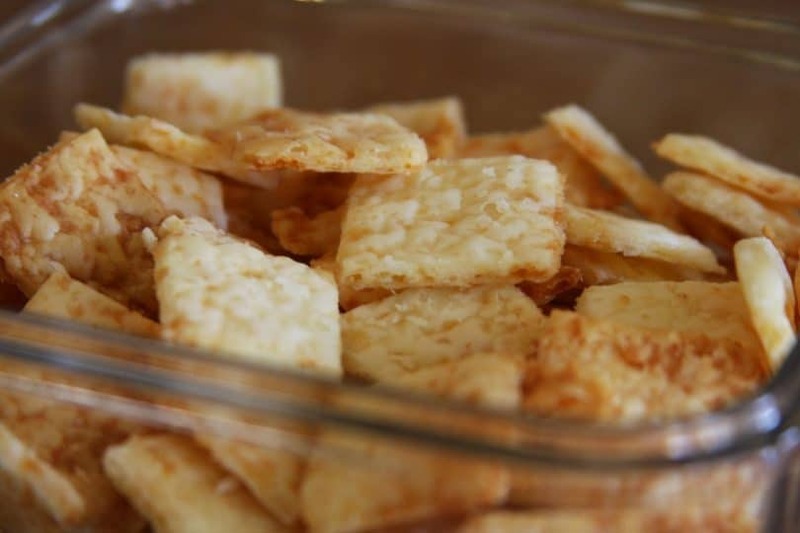 Crackers, as it’s obvious, are ideal because of their insignificant weight. You can add to this category also muesli, oats, and other such low-weight foods, which can become softer and tastier by adding a bit of water. This is the perfect idea for a food very high in fats and proteins. One jar can be enough for several days. 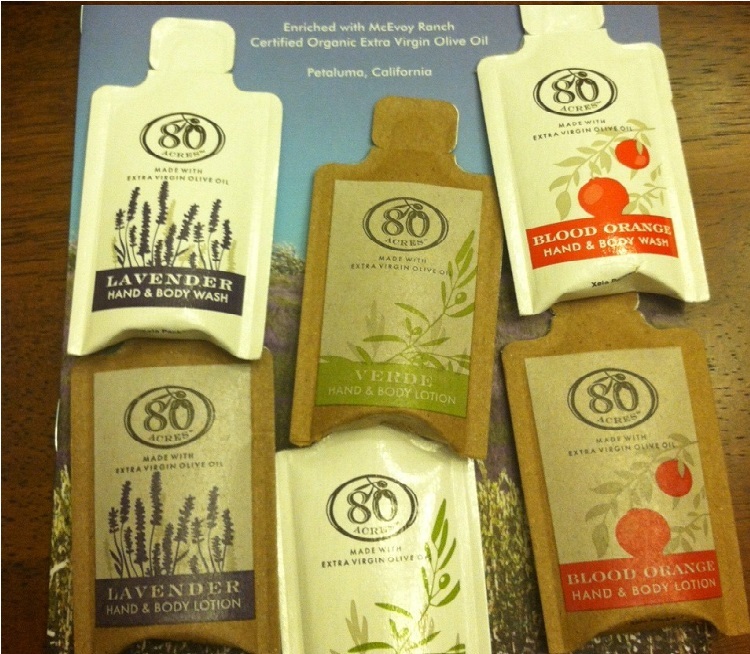 You can also get it in tubes, instead of jars, for easier way to carry and use. Combined with crackers, you’ll have the perfect mix of carbs, fats and protein. Peanut butter is also high in calories so you can quickly satiate your hunger. It’s a durable food and can withstand warm weather for many days. This is due to its high fat content, since fat is a preservative. The only downside to peanut butter is the consistency. When you’re hungry and thirsty your mouth is dry, and since peanut butter is thick, it feels sticky when you eat it. So, if you have water by your side, definitely help yourself. A better idea is to have a piece of fresh apple or cucumber, as we advised earlier. It will be a much more balanced meal. You’ll be adding electrolytes from the fruits. This may be part of the peanut butter category, because it’s a fatty food, but since it’s only fat, it can be used only as an additive to your other meals. It’s a compressed calorie-bomb, healthy, nutritional and can be found in small plastic bottles. It also brings some aroma and taste to your otherwise plain food. Again, you’ll have carbohydrates, fats and protein packed in one. It’s light, and when boiled water is added, can be perfectly nourishing. It’s an inexpensive staple food and if you add some meat pieces, tuna or olive oil, you can have the perfect meal. 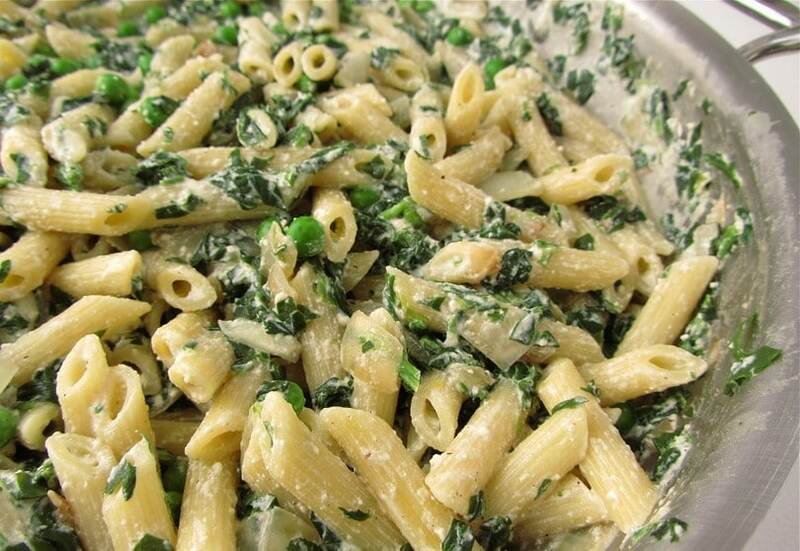 You can substitute the macaroni with any other type of pasta that you like. There are basically loads of options on the market, so just take your time and pick your favorites. And if you plan on eating only pasta, try to get some variety in the flavors. Some hikers have the habit of taking many packages of one type of food, and then get sick of it by the end of the adventure, just because they didn’t go for some variety when they went shopping. What to consider when planning your own meals? As we already mentioned, the best meal during an exhausting hiking day is the one that has carbohydrates, salts, fats and proteins. Even if you don’t follow strictly the above list of foods, you can compile your own, by following these requirements. You also have to consider the weight of the meal, whether it’s prepackaged for you, or you place it in a plastic box, it shouldn’t be a heavy one. Also, important thing that many hikers overlook is the trash left behind them. Many hikers upon leaving their camps have the bad habit of also leaving behind trash, napkins, plastic bags, etc. There is an ethics code not to leave behind any type of trash, even if you believe it’s compo stable under the right conditions. Don’t assume that your paper napkin isn’t going to be there next year just because it’s compo stable. It’s nonetheless trash. 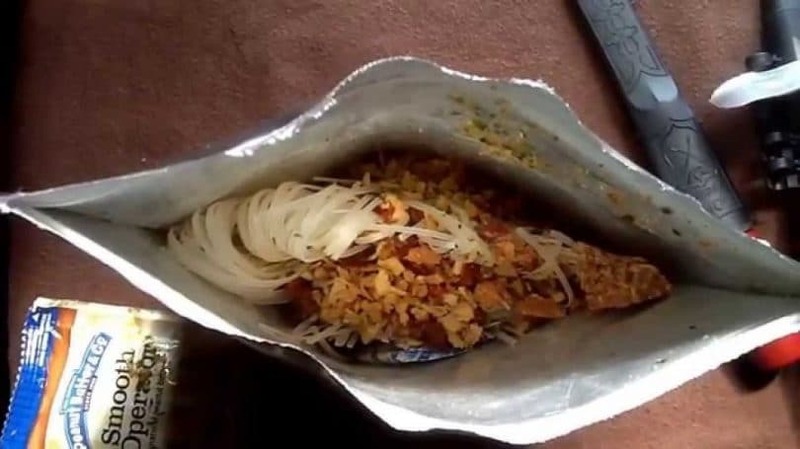 Prepare a special plastic bag for all food leftovers and keep it in your bag (or alternatively, attach it to your backpack outside, if you don’t want it mixed with your other items). Remember that, if you plan a one-day hike, your meals may be more luxurious and you can bring some of your favorite foods. If you will hit the track for several days, you have to be much more prepared, with a strict plan on how to use your food throughout the days ahead, and to also consider bringing extra food. For longer trips, you should basically rely on dried and freeze-dried foods. You can prepare your own dried fruits at home. For shorter trips, even apples and cucumbers may find their way in your backpack. Our advice to keep you nourished is to also pack some spices. Not only do they add some life, taste and smell to your dull menus, but they are also packed with huge amount of antioxidants. As we explained earlier, antioxidants keeps your body fresh and helps it fight the oxidation stress. So, you can bring some garlic, pepper, oregano, cinnamon, peppermint (or mint), curry, etc. You can also make your own granola bars or meals, ready to be mixed with water. Don’t underestimate also the variety of nuts out there. Make your own package of ‘trail mix’ instead of buying one. 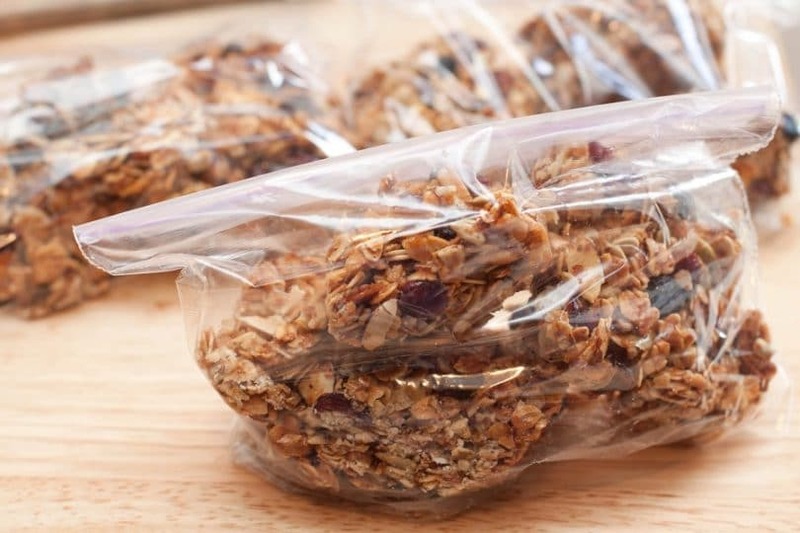 Just mix any of your favorite nuts and dried fruits, place them in a plastic bag and keep it at hand, in a pocket. You can have smaller packages, which fit your pants or jacket pocket perfectly. You don’t have to keep it in your backpack and stop every now and then to bring it out. As we said it before, hiking food may be a bit dull and boring, but it doesn’t necessarily have to be that. If you use your imagination and combine some of the foods we listed above, you may end up with some pretty tasty meals. If you follow the main idea that a complete meal must have fats, carbohydrates, protein and salt (electrolytes), and add some taste to it (like spices, olive oil, peanut butter, etc.) you should be just as happy on a hiking trip as you would be at home.